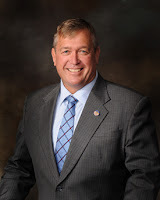 • Hoping to make Election Day a "big deal" again, Assemblyman Cresent Hardy has submitted a bill that would end early voting in Nevada. Hardy believes the popular practice diminishes the traditional civic ritual that is Election Day and leads to possible voting violations. • Kyle Gillis looks through some of the last-minute bills introduced in the Nevada Legislature and highlights some related to transparency and open government. Highlighted bills include AB159 which would treat oral requests for public records the same as written requests; AB195 ensures that court records are saved to microfilm or an electronic recordkeeping system prior to being destroyed; and AB239 which would "require all public bodies to post meeting records on their websites." • The Las Vegas Sun examines Judge George Assad's re-election bid and the role that law enforcement endorsements play in it. If you had a court case in front of Assad and the other party had donated hefty sums to Assad's re-election bid, is it unreasonable to feel that you're going to face an uphill battle? It seems Assad should at least recuses himself from cases involving donors to his campaign. • Nevada Journal takes a look at a "streamlined" redistricting proposal submitted by Democratic activists to the Legislature. The plan would create three Democratic-leaning districts and one Republican-leaning district. It also deemphasizes "minority districts." • Washington lobbyists are flocking to jobs as Congressional staffers, the Washington Post reports. While ethics rules curtail the ability of former lobbyists to join the executive branch and former lawmakers from joining lobbying firms, no real rules are in place to block former lobbyists from joining the legislative branch. And as unseemly as it may look, I don't see it changing anytime soon. Despite their ugly reputation, lobbyists often are some of the most knowledgable sources when it comes to certain issues. If you're a lawmaker looking for the best and brightest -- especially on an issue that few really know about and understand -- a lobbyist could be your best choice.